Ram Charan New Look: Mega Power Star Ram Charan will be spotted in a bearded look for Rangasthalam 1985, a village-based romantic drama. Ram Charan has been shooting with the thick beard from the past ten months for the film. The actor finally wrapped up the entire shoot of Rangasthalam 1985. Ram Charan Next Movie in the direction of Boyapati Srinu kick-started recently and Ram Charan is all set to join the shoot from 19th of this month. Ram Charan chopped off his beard and hair once he completed the entire work for Rangasthalam 1985. A Mumbai based stylish has been hired for Ram Charan to be presented in a new look for his next which is a mass entertainer. 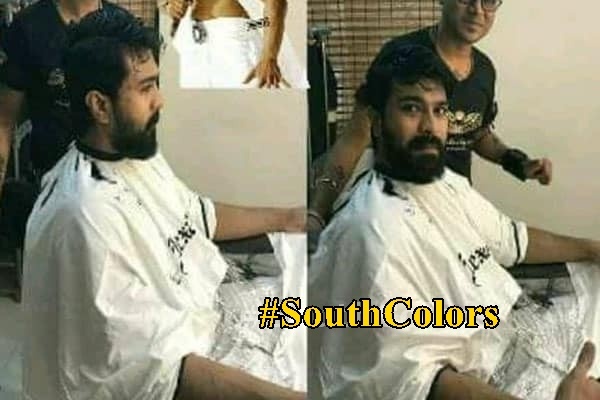 Ram Charan Tej currently working on his looks and the pictures are now viral on the internet. Ram Charan will also take a break for a week after which he will join the sets. Actress Kiara Advani is the female lead and Devi Sri Prasad has been roped in to compose the tunes. DVV Entertainments are producing this big budget mass entertainer which has been announced for Dasara release. The post Ram Charan New Look Loading for Boyapati Srinu Film appeared first on SouthColors. 7 Important Facts That You Should Know About 8GB रैम और कूलिंग टेक्नोलॉजी के साथ लॉन्चहुआ Honor Note 10.